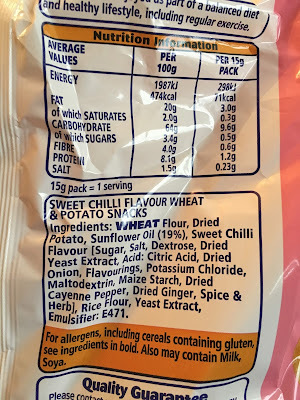 On opening the packet there was a sweet and mild chilli aroma, mixed with the wheat and potato of the crisps smell from the red tinted Puft Hula Hoops. 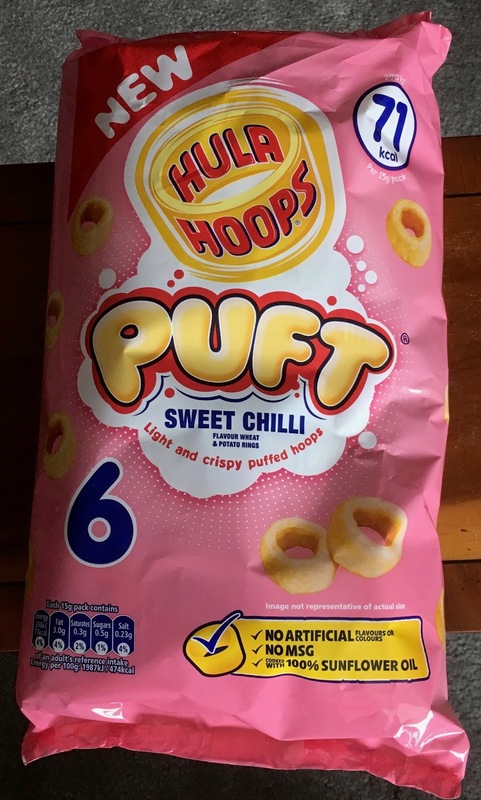 The flavour of these Hula Hoops starts off quite subtly. First comes the wheat and potato flavour from the Puft, then a sweetness mixed with a tasty cayenne pepper flavour, and a touch of ginger and onion into the aftertaste. There is a very mild chilli burn from these crisps, which slowly builds but never troubles. These are a subtle yet tasty alternative to the usual flavour bursting Hula Hoops. Good for sharing if you have lots of bags dumped in a bowl for a party and maybe dipping into mayonnaise whilst watching a good movie. 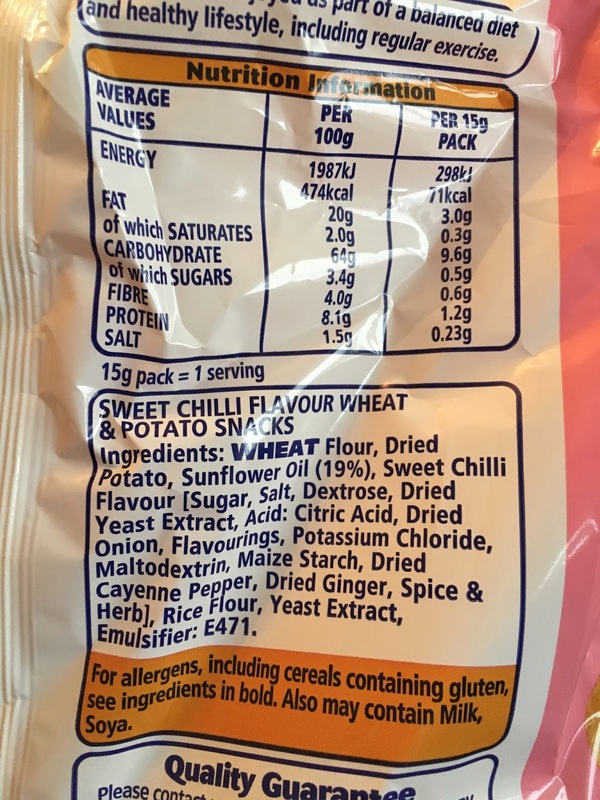 Each 15g packet has 71 calories, with 3g of fat, 0.5g of sugar, and 0.23g of salt. There are no artificial flavours or colours, and these crisps are cooked with 100% sunflower oil. Please see photograph for ingredients.